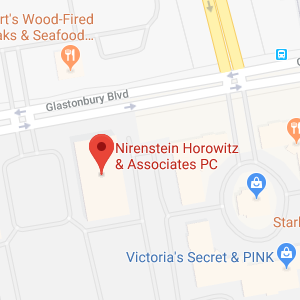 Nirenstein, Horowitz & Associates is a full-service elder law and estate planning firm that provides representation to clients in the city of Hartford, Connecticut as well as in surrounding areas. When you begin thinking ahead about what your future holds, Nirenstein, Horowitz & Associates can help you to be prepared for the good times and the bad. Whether we help you to find ways to save for retirement and ensure that your assets are protected or we assist you with the process of making a comprehensive plan for illness or the transfer of assets after your death, we can provide the services that you need to support you, protect your wealth, and ensure your loved ones are safe and secure. Give us a call today to find out more. Hartford, Connecticut is the Connecticut capital. Previously, the city of Hartford was also the county seat of Hartford County in which it is located. However, in 1960, Connecticut disbanded local county governments so there is no longer a county seat. Hartford was home to an estimated 124,775 people as of the most recent census, which made the city of Hartford the third largest city in Connecticut in terms of its population. Only New Haven and Bridgeport had larger populations within the state. However, Hartford is likely to fall to fourth in the upcoming census based on current population estimates, as Stamford has experienced rapid population growth and Hartford is not keeping pace. Hartford has an unusual claim to fame; in that it is home to the headquarters of many insurance companies. In fact, the insurance business is the major industry in Hartford. Unfortunately, while the greater Hartford metropolitan area is one of the most economically productive and wealthiest areas in the country, Hartford itself has many families who live close to or below the poverty level. For those living in Hartford, planning is essential. Often, this means taking steps to ensure you are saving for retirement and taking steps to ensure that you have put protections in place so assets are not lost due to illness or other unforeseen tragedies. Nirenstein, Horowitz & Associates can provide help with retirement planning, incapacity planning, estate planning, and more so if you live in the Hartford area, you should reach out to our legal team as soon as possible. As of the most recent census, 9.6 percent of households in the city of Hartford, CT were comprised of someone age 65 or older who was living alone. Seniors, whether they live alone or with family, may experience age-related limitations or age-related infirmities that can impact their ability to care for themselves, live independently, or remain active and vibrant community members. When basic services are insufficient to provide all the support that seniors need, older Hartford residents may need help from home healthcare aids or may need to move into a nursing home. Both home care and nursing home care are very expensive. Nirenstein, Horowitz & Associates can aid Hartford residents in making sure they can afford the care they require by qualifying for means-tested Medicaid benefits. Nirenstein, Horowitz & Associates is also here and ready to help if any legal issues arise which must be resolved in probate court. Probate courts preside over guardianship and conservatorship proceedings in which a guardian or conservator is named to make decisions on behalf of, and act on behalf of, a person who is physically or mentally incapacitated. Going to probate court is likely also going to be necessary to transfer assets after a death, unless the decedent created a trust during his lifetime so assets could pass through trust administration or unless other tools such as pay-on-death and joint accounts were created as part of an estate plan to pass assets onto loved ones without going to probate. Nirenstein, Horowitz & Associates provides help to all those who must go to probate court. We can represent clients in guardianship proceedings, can provide representation to anyone named the executor of an estate who must oversee the probate process and can represent heirs or beneficiaries who are going through probate. If you must go to probate court, the correct court for Hartford residents is the Hartford County probate court. 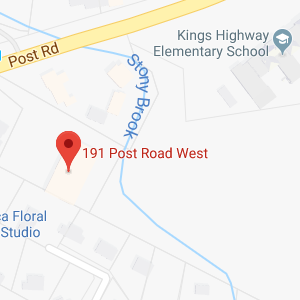 You can learn more about this court by visiting the state directory of probate courts or by visiting Connecticut’s probate court website. There is a probate court that is located directly in the city of Hartford. The court address is 250 Constitution Plaza in Hartford, CT 06103. The probate court is located on the third floor of the court building and it can be reached via phone at 860-757-9150. Nirenstein, Horowitz & Associates can help you to complete court forms and can represent you in hearings before the probate court when you have any legal issues related to guardianship and conservatorship or the transfer of assets after a death has occurred. Hartford elder law and estate planning lawyers provide a full range of services to residents of Hartford and surrounding areas. Nirenstein, Horowitz & Associates is here and ready to help with making an incapacity plan, a retirement plan, a legacy plan and more. To find out more about how our elder law and estate planning lawyers can help you, join us for a free seminar. You can also give us a call at 860-548-1000 or contact us online to receive personalized help with your situation.